Spring is just around the corner and before you know it the birds will be singing, the sun will be shining, and we’ll be pulling out our short sleeves and planning cookouts with friends. With all this warm weather headed our way, it’s the perfect time to start thinking about ways you can improve your outdoor living areas. Some people dream of lazy days in a hammock with a good book, while others can’t wait to fire up the grill and surround themselves with the buzz of good friends and food and conversation. No matter which category you fall into, these 12 ideas will give you the fuel you need to take your property up a notch and give yourself and your friends a great outdoor experience. Having a welcoming space right off your home for easy outdoor sitting, eating, and general hosting is a must. Using your outdoor living area can become second nature with easy access and no walking through mud or wet grass. Build a front porch. Front porches are an obvious choice if you enjoy watching the cars go by or porch-swinging with a friend. And they add plenty of curb appeal if they are done right. There are so many different types of porches you can choose from, the sky’s the limit! Think about building a back deck. A back deck lends itself well to casual outdoor dining, whether with family or friends, and it’s perfect for hosting block parties or a Sunday cookout with the cousins. It also makes a great place for little ones to play under the watchful eye of mom and dad. Add a screened-in porch. A screened-in porch is an option as well, and one of our personal favorites. Its appeal comes from the way it crosses over from indoor to outdoor and blends the two into one pleasant space. The screened in porch has the fresh air that comes with being outside. It also keeps the bugs and elements out, making it the perfect loungy haven from bad weather for most of the year. Consider a patio. If none of these ideas are up your alley, there is also the option of a concrete patio. Again, these cover the idea of easy-peasy outdoor hosting with the convenience of a “floor” to keep your guests from getting their feet dirty. Having a porch or deck is just the beginning. Once you have them built, the real fun can begin! There are a million and one ways to personalize your outdoor living area, so let’s talk about a few here. 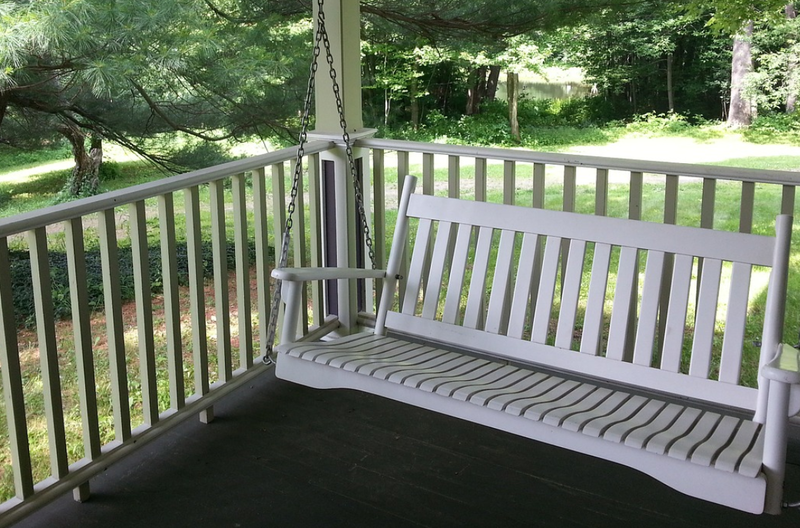 Paint, stain, or whitewash your porch. Don’t feel like you have to go with the same old brown. Do something that really reflects your style. Add some lounge furniture and a swing. A table and chairs are a no brainer, but make sure you make the space useful for lounging, drinking coffee, reading a book, studying, listening to the birds, and other relaxing occupations. Adding other furniture creates versatility and makes your space even more valuable. Consider special lighting. This could be anything from string lights to barn lights to tiki torches. No matter what your style is, there is an outdoor lighting option for you. Think beyond your standard sconces and really embrace the ambiance that customized lighting can bring to your space. Add potted plants. Plants and flowers have a beautiful way of breathing life into spaces, and adding a touch beauty, freshness, and vibrancy. A few pots of flowers or hanging ferns can instantly change the way your space feels. And don’t worry if keeping plants alive isn’t your thing. There are some that even you can’t kill. Install outdoor speakers. This is a sure-fire way to step up your hosting game and bring the mood to the party. Or imagine your choice of soft melodies floating through the night sky as you snuggle your love and gaze at the stars. Whatever you use it for, outdoor speakers will definitely be an upgrade that you will enjoy. 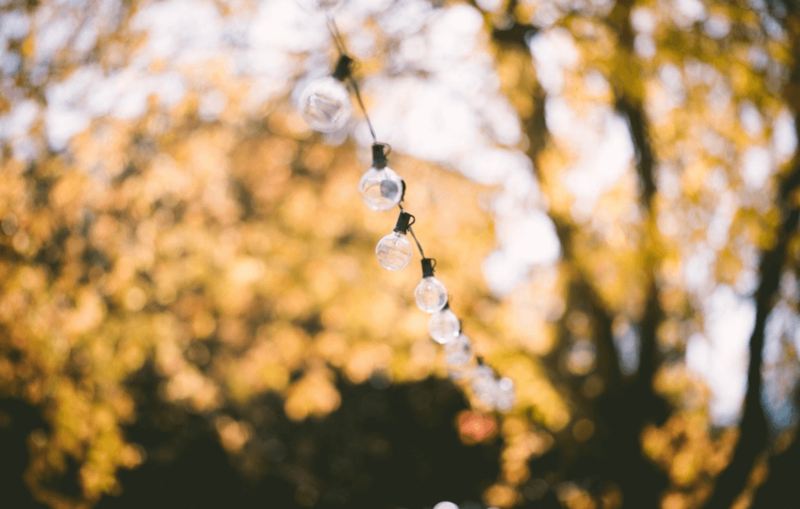 We’ve talked about ways to dress up your porch or deck, but many of us have yards that could also be used as outdoor living spaces, so let’s talk about some ideas for those. Put a hammock under a tree. A hammock is a great way to relax outside and forget about your cares and concerns. It’s time to bring this classic back! Build a firepit. An outdoor fire on a summer night is just one of life’s simple pleasures. Consider putting a firepit in your yard with lots of room for friends to gather around. Set up an outdoor projector for movies under the stars. This last one is a little less common, but it is a great way to enjoy your outdoor living spaces a little differently. Plus, if you enjoy hosting lots of people for movie night, it gives you an option that doesn’t involve everyone crammed together like sardines. We really hope this has given you plenty of ideas for ways to upgrade your outdoor living spaces. Not only do these upgrades add to the quality of life you and your family will enjoy in your mobile home, but some of them can also add to the overall value of your mobile home. If you are intending to sell and looking to make some improvements first, check out our article on upgrades that can increase the value of your mobile home.